Online shopping and reverse auction site Dubli.com was in Charlotte last week, promoting its retail platform at the Southern Women's Show. Representatives handed out Dubli swag, and tried to talk prospective new customers into trying out the site. The business is an eclectic mix of price comparison, cash-back shopping, music streaming, and online reverse auctions - which account for the huge majority of Dubli's revenue. The site has two million registered users, and is popular in Europe and the Middle East, said Dubli spokeswoman Stefanie Kitzes. "The pitch has really been shop online and get paid to shop," she said. "Eastern Europe is huge. They want American." The site is also an affiliate marketer for major retailers, meaning it negotiates deals under which it directs shoppers to their site and offers shoppers cash back from the retailers. In addition to its free option, Dubli offers subscriptions for $4.95 a month and $28.95 a month, which offer larger cash-back percentages. Dubli is hoping to expand its US customer base now. It's rolling out a smart phone app which will allow customers to scan bar codes in stores and then compare prices online (retailers hate such apps, which they see as contributing to the "showrooming" phenomena). The site is also hoping to get more people to use its music service, which helps create a "sticky" experience. That's web-speak for a site users spend a lot of time on and come back to often. The company's most recent quarterly financial statements show Dubli recorded $201,416,736 worth of revenue for the first nine months of the year. Almost all of that, 92.6 percent, was from the company's reverse auction business. The direct cost of those revenues, mainly providing merchandise for the auctions, was $199,897,997. For the first nine months of the year, Dubli posted an $8.17 million loss. The company hopes to continue growing its revenue to reach profitability. Dubli also relies on a network of independent "business associates" who buy "credits" from the site for 63 cents and sell them to people they know for 80 cents. The credits allow people to bid for items in the reverse auctions. The company has also invested in millions of dollars worth of land in Dubai, so Dubli appears to be looking at multiple revenue streams. Dubli also admitted in its quarterly statement that it lacks adequate financial controls and procedures, which it said it is working to address (see Item 4). Kmart will soon shutter its store in Lancaster, S.C., as the retailer and its parent company Sears Holding Corporation continue closing locations and trying to return to their former retail glory. The Lancaster location isn't on Sears' latest list of store closings, but an employee at the store confirmed its last day of business will be Dec. 16. Last year, Sears announced that it would close 100 to 120 of its Kmart and mainline Sears locations, due to poor financial performance. Since then, the retail company has sold more locations and created plans to spin off its Sears Outlet and Hometown stores into a separate company. But the efforts haven't paid off so far. Last month, Sears reported that its sales were still falling, as revenue fell 7 percent, to $9.47 billion, and the company posted a $132 million loss for the quarter. Sales at Kmart stores open at least a year fell 4.7 percent, a steep drop in comp-store sales for the retailer. Fashion designer Donald J. Pliner, who creates footwear and accessories for men and women, will be at the Belk store in SouthPark on Saturday, Sept. 29, to showcase his new fall lineup. Pliner will be showing off and signing items from his new collection from 11 a.m. to 4 p.m., in the women's shoe department. Light refreshments will be served at the free event, which is open to everyone, Belk said. known for the combination of fashion, fit and comfort that embodies every design." Earlier this year, Belk brought in designer Joseph Abboud to meet customers and show off his lineup at an event that included a beer tasting and cigar rolling. Local malls have been announcing a bevy of new stores, with nine new retailers open now or set to open at SouthPark, Northlake Mall and Carolina Place over the coming months. At SouthPark mall, the new stores announced Monday tend towards the high end. Hanna Anderson is opening in spring 2013. The store will offer "uniquely styled, Swedish-inspired soft, quality clothing for children and babies," SouthPark says. The 1,625 square foot store will have pure organic cotton and environmentally-friendly clothes. Porsche Design is opening a 1,250 square foot store later this year. "Founded in 1972, Porsche Design offers functional and timeless designs for discerning customers," SouthPark said. It will sell, "women’s & men’s fashion, sportswear, luggage, eyewear, watches and jewelry, writing instruments, cutting-edge electronics such as the Porsche Design Smartphone P’9981 from BlackBerry® and much more." Tara Grinna Swimwear recently opened a boutique in The Village at SouthPark. The 2,620 square foot store sells designer swimwear, as well as custom-made swimsuits. And Hand & Stone Massage and Facial Spa will open in November, in a 2,941 square foot store next to Cowfish, the sushi-burger joint. The spa will offer waxing, facials, and a variety of massages, including Swedish and pre-natal. At Northlake, Forever 21 is moving to a larger space. The 21,000 square foot, fast-fashion store will open in November, in the mall's Dillard's wing. White House Black Market is going to open next February. The Northlake boutique store will, of course, carry black and white clothes, along with a "seasonal pop of color." And Chico's, a women's fashion and accessory store, is also opening in February. The store promises fresh designs every week and knowledgeable style experts in the store. And at Carolina Place, Deb has opened. The national retailer sells junior- and plus size women's clothing, footwear and accessories. Teavana, Francesca’s Collections, Kids Foot Locker and Nestle Toll House Café have also opened at Carolina Place this year, and a TCBY is set to open soon. 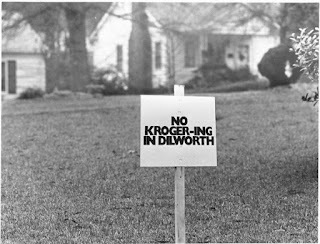 Dilworth has a zoning fight on its hands, as residents are fighting a proposed drug store and drive-thru at the intersection of at Kenilworth Ave. and Morehead St. 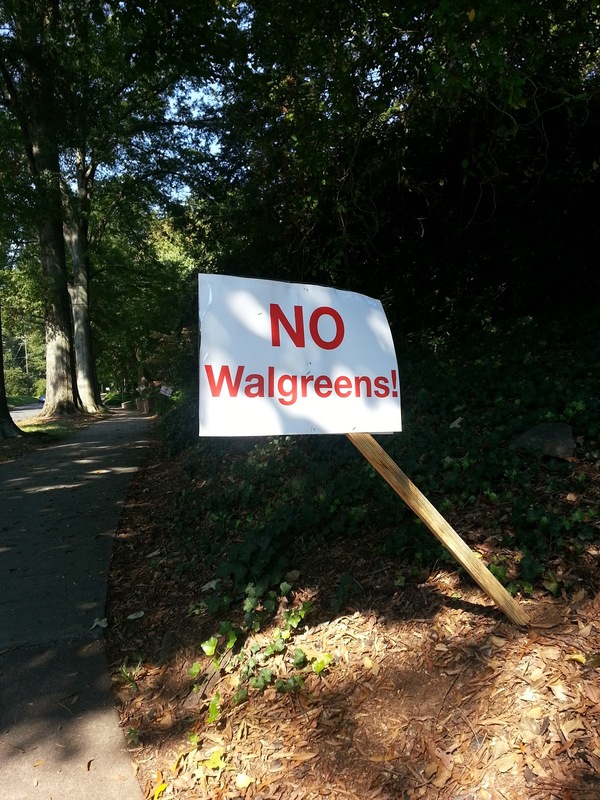 Residents against Lincoln Harris' plan, which would tear down five older buildings and build a Walgreens and an office building, will have the chance to voice their opposition at tonight's city council meeting. You can see the rezoning petition here. City staff have recommended approving the plan. The Tudor-style apartment building and four houses that would be torn down are across from Carolinas Medical Center, and border both a commercial strip of office buildings and one of Charlotte's older residential neighborhoods. Lincoln Harris is requesting a rezoning to allow the retail development and a drive-thru for the Walgreens, and met with residents in August to allay their concerns. But the Dilworth Community Development Association voted to oppose the project. "The proposal violates a very recently approved area plan and is certain to create demand for additional retail development along this fragile edge of our neighborhood," the DCDA said in an email to members last week. The group is referring to a city area plan calling for more pedestrian development. "City Council members will not, however, defeat this proposal if our neighborhood does not speak loudly. We don't call on you often, but this is the real thing- we need your help!" the email continued. The group is asking community members to come to the city council meeting at 6 p.m. to show their opposition. A city memo on the proposed rezoning says the plan would generate about 1,540 trips per day, which would have a minor effect on the surrounding roads, according to the Charlotte Department of Transportation. That's about twice as many trips as if the site were developed according to the current zoning. Residents are concerned about the possible increase in traffic. 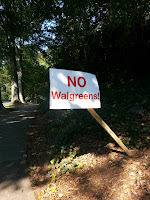 An online petition, "No Walgreens on Morehead," had 830 signatures on Friday, with a goal of 2,000. It might be too late for concerned residents to prevent demolition of the buildings, some of which are more than 80 years old. According to city documents, the owner, Edward Springs, "intends to tear the buildings down even if the rezoning does not go forward as that would actually enhance the marketability of the property." 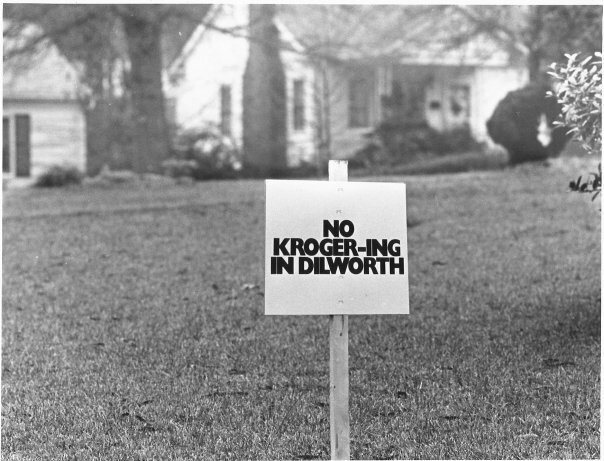 Bonus historical observation: A reader with a longer memory than mine reminded me of a similar zoning fight that took place some 30 years ago, when Kroger was planning to build a supermarket on Park Road. Kroger won, and the store eventually became a Bi-Lo, then a Bloom, and is currently a Food Lion. There's a picture below of a "No Kroger-ing" sign from the time below, followed by pictures of the proposed Walgreens and current apartment building. Fresh To Order, an Alpharetta, Ga., based "fast fine" restaurant, is looking to open about seven stores in the Charlotte area, said founder and president Pierre Panos. "If you look at Charlotte right now, there are a lot of nice restaurants," said Panos. "But if you look at nice restaurants that are under $10 and also healthy, there are not many." Panos, who has been working in the restaurant industry since he was growing up in South Africa, where his Greek family had businesses. Since immigrating to America, he's developed restaurant concepts such as Stony River, a steakhouse, and Brookwood Grill, a casual fine dining restaurant. But after the recession, he wanted to develop a restaurant that would offer chef-inspired cuisine faster and cheaper, with dishes under $10 and served in under 10 minutes. They would also require less initial investment to open. "If you're spending $2 - $3 million on a restaurant, it can go south very quickly," said Panos. He hit on Fresh To Order. 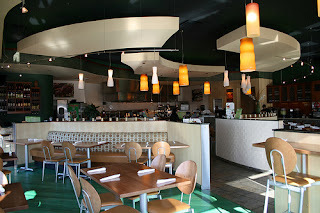 The stores have food cooked, as the name implies, from fresh ingredients when it's ordered, in an open kitchen. He said the stores are more nicely decorated and a bit more upscale than fast casual chains, but with an average price that's only $1.50 more. And though Fresh To Order restaurants have kiosks where people can see how healthy a dish is and select meals to fit their specific diet, Panos said he doesn't want to be thought of as a "healthy" place - too many connotations of bland, unsalted, unsweetened food. "If I had put 'Fresh to Order - Healthy Restaurant,' I bet you I'd have been out of business in six months," said Panos. He met with interested franchise owners this week in Charlotte. There are currently nine Fresh To Order locations, one of them in Tennessee and the other eight in Georgia. Panos said he hopes to open his first Charlotte location within 12 months, as either a franchise or corporate store. Here's a look at the restaurant's menu. 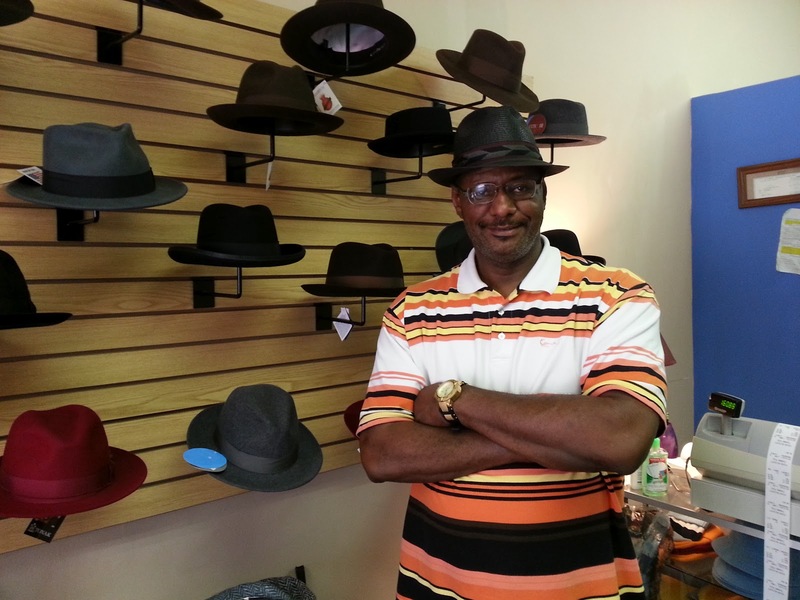 "There was a time you couldn't find a man without a hat on," said Keith Christmas, owner of Alexander Hats in uptown's Brevard Court. "Now that is a gentleman." Christmas moved his shop from Independence Blvd. to Brevard Court in March, seeking better real estate after the never-ending road widening project on Independence made it harder and harder for customers to find him. At the store, he does everything from make and sell new men's hats to cleaning, re-blocking, and repairing century-old felt hats. "This is what I do. 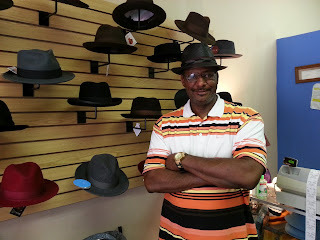 I just love hats," said Christmas, who started his store in Charlotte seven years ago. He rattles off different styles as he walks around his shop, showing them to visitors: Homburg, fedora, derby, Aspen, Panama, ivy. Christmas transforms raw felt into hats for clients, shaping, stitching, and tacking on sweatbands and ribbons and stiffening the material into a finished hat by hand. He learned the hat-making trade in New York, after he and some neighborhood friends who were out causing trouble broke a shop-owner's window. Christmas was 13, and the man told his dad he would call the police unless Christmas paid for the damage. The man owned a hat shop, and Christmas got hooked. After working for Toyota for years, Christmas wanted to start his own business. The hat business felt right. He knows that styles have changed, that most men these days are going around bare-headed or in baseball caps. John F. Kennedy was the first president not to wear a hat, and since then, no president has been inaugurated in a hat. "Ever since that, the country went downhill in a handbasket," said Christmas. "Maybe we need to go back to the traditions." But Christmas said he still does good business, selling to "hat people." He offers young men who trade in their baseball caps $50 to get them into their first real hat; he's making four custom hats for a man in Rio de Janeiro. "I've been open seven years," he said. "Somebody's buying something." Listening to Christmas, who can guess your hat size accurately when you walk in the door, it's hard not to believe in the transformative power of the hat. "How do you stand out from the crowd? A hat is a statement all unto itself," said Christmas. "If you get the right hat, everything changes. When you wear a hat, you're a different man, brother." Want free Food Lion groceries for your neighborhood? Food Lion is giving away a truckload of free groceries to one neighborhood in Charlotte, and customers can make their case on the supermarket's Facebook page for their neighborhood. The contest is open through Sept. 28. On Oct. 13, Food Lion plans to deliver groceries to residents in the winning neighborhood. The goods will be from the retailer's "my essentials" private label, and Food Lion said it expects to give away about 2,000 items. The contest's official rules have a list of Charlotte area zip codes which are eligible for the contest. Entrants must describe why their neighborhood is special and deserves Food Lion groceries. Here are the judging criteria, if you're looking for a leg up: "The Judges will judge each Entry according to the following weighted factors: (1) theme: 40%; (2) creativity/originality: 20%; (3) emotionally engaging: 20%; and (4) overall impression: 20%." Food Lion will also be donating $20,000 to local non-profits as part of the promotion. The Salisbury-based grocer is in the midst of an effort to rebrand and overhaul its Charlotte-area stores. From a story we ran in July: "Food Lion, owned by Belgian grocery giant Delhaize Group, has dropped prices on 6,000 items, increased product variety and introduced fresher produce in 269 stores in the Carolinas, including 27 in Charlotte. Food Lion lost market share in the Charlotte region last year, falling from 19.2 percent of the market to 17.7 percent, according to data from Chain Store Guide. The company also closed more than 100 underperforming stores." Microsoft is launching a temporary retail store at SouthPark mall for the holidays, according to reports on tech news websites. PCMag.com says that the tech giant is planning to open more than 30 stores for the holidays. In addition to the SouthPark store, Microsoft is also opening one in Durham, in the Streets at Southpoint. Microsoft is playing catch-up to Apple, which already has some 300 retail stores, including one each in SouthPark and Northlake Mall. The Apple stores have been a boon to Apple, becoming some of the highest-grossing retail outlets in the world.There's no word yet on when the store will open at SouthPark or if it will be permanent. Microsoft has about two dozen stores currently, and plans to have 75 in the next couple of years. The holiday stores will have plenty of new Microsoft merchandise to try and stimulate consumers' appetites. Windows 8, the new Windows Phone, and Microsoft's new Surface tablet could all be hot items. What do you think - should a Microsoft store become permanent at SouthPark? Charlotte beer and wine shop Brawley's Beverage is seeking a rezoning in order to open a space for people to drink on the premises, a move owner Michael Brawley hopes will help the store stay competitive. "All the new stores have one," Brawley said of on-premise consumption licenses. "If someone can have a pint while they shop, it's a tremendous advantage." A number of new stores with on-premise licenses have popped up, including Salud Beer Shop in NoDa and Good Bottle Co. on Remount Road. Common Market now has two locations, in Plaza-Midwood and South End, and even Whole Foods in SouthPark has four taps and more than two dozen wines available to drink in the store. Charlotte's breweries also offer on-premise consumption. "We were kind of kind of the first beer geek store in town," said Brawley, who opened the store about 9 1/2 years ago. "When we started, there really wasn't any competition to speak of, and there wasn't any competition for on-premise except for Common Market." The Park Seneca Lawnmower repair shop adjacent to Brawley's moved to Old Pineville Road after their lease was up in August, opening up the possibility of rezoning the beer and wine shop, Brawley said. In addition to letting customers sip and shop, an on-premise consumption license would let Brawley hold special events at his store, instead of at restaurants or bars like he does currently. Brawley stresses that he's not seeking to open a bar. Hours wouldn't change much, and the whole thing would be family friendly. He hopes to eventually add food to the store's offerings, but that's on the back burner for now. If all goes well, Brawley hopes to have renovations done by May, in time for the store's 10-year anniversary. A hearing on the rezoning request is set for Nov. 12. You can see Brawley's rezoning application here. A new bookstore on the second floor of Uptown's Brevard Court is open, offering a quick lunchtime respite from the office grind and a place to hear poetry and independent music. Poor Richard's Book Shoppe opened in August, after relocating from Gastonia.The store is the newest independent book store in Charlotte, and co-owner Bryan Borges said he plans to expand into the adjacent space and add a wine and beer bar. Borges and his wife opened the store's first iteration in 2010. They had formerly run a catering business, and both also had experience in corporate finance. Their sons were graduating from college in 2009 with poor job prospects, and the family decided to start a business together. Although stores were closing in the downturn and booksellers were particularly hard-hit, they still wanted to open their first retail business. "Going into business yourself is always a risk," Borges said. "If you can do it in an environment that's not conducive to it, when the market turns you should be doing pretty well." After building up a clientele in Gastonia, they hadn't planned to move to Charlotte, Borges said. However, while dining with a friend at Brevard Court, he heard there was space available in the building, and the chance to move to uptown was too good to pass up. Having made the move, he intends to expand the store's role as an arts venue. "Our main mission is to expose people to as much of the arts as possible," said Borges. Poor Richard's hosts a monthly spoken word event, accompanied by music and a visual artist creating a piece. At the end of the night, they auction the piece of art. They also have a weekly open mic with a featured poet, and a music series featuring independent musicians on Saturday. A wide range of offerings is key to surviving in this economy, Borges said. "You can't just be a bookstore and thrive," he said. They also sell new and used books to appeal to price-conscious consumers, and take special orders. "We can get our hands on just about any title, whether it's used, new, out of print, rare," said Borges. And the retreat of chain bookstores such as Borders, which went out of business, leaves more room in the marketplace for independents, he said: "Businesses like ours, businesses like Park Road Books, those are the ones that will fill the void." Winston-Salem-based Krispy Kreme is offering free doughnuts to customers willing to come into their stores and talk like a pirate on Wednesday, Sept. 19 (fixed) The promotion is tied to "National Talk Like a Pirate Day." "Any buccaneer who dares enter a participating Krispy Kreme location talking like a pirate gets one FREE Original Glazed® doughnut. Blimey you say? Well there's more. To the lad or lass wearing full pirate attire goes a bounty of one FREE dozen Original Glazed® doughnuts," the company said in its news release. The release also says, a bit lower, that full pirate attire apparently does not include a sword or flintlock pistol: "NO WEAPONS ALLOWED!" Krispy Kreme also specifies that talking like a pirate OR wearing an eye patch will get you a free doughnut, so if you already have to wear an eye patch for some other reason, you're set. It's the 10th anniversary of Talk Like a Pirate Day, so if you've been looking for a little something extra-special to do in order to mark the occasion, Krispy Kreme's promotion could be perfect. Krispy Kreme isn't opening its Charlotte store, in Cotswold on North Sharon Amity Road, until Sept. 24, however. So, if you live in Charlotte, you'll have to trek just a bit to show your pirate dedication. Anyone out there planning to actually do this? After being laid off from his job at a Fort Lauderdale nutritional supplement company, Doug Lemmone sought to pursue his dream and open a bar or lounge in Florida. But the right location was elusive, and Lemmone moved back to Charlotte to care for his ailing mother. And he found what he thinks is the perfect spot for his bar in Charlotte, not Fort Lauderdale or South Beach. Cathode Azure,a 4,000-square-foot bar and lounge targeting gay and gay-friendly clientele, opened Friday in South End. "I think it's going to establish South End as the 'gayborhood'," said Lemmone, a New York native. The area is up-and-coming, he said, with easy light rail access, plenty of parking, and a growing population living in the new apartment buildings nearby. Featuring over-sized leather chairs, French doors leading to patio seating, blue LED lights and hanging lamps that give off a blue glow, Lemmone said he's going for an upscale, grown-up vibes. Although the bar features a dance floor, dancing isn't the focus, and Lemmone said the music selection is less dance and techno, more Top 100 hits. The bar charges a $6 cover on busier nights, but also offers specials such as $2 well drinks on Wednesday nights to lure customers. And though Lemmone said he hopes to be the best gay bar in Charlotte, he also wants to attract a diverse clientele. "We don't care who you are or what you're about," he said. "We welcome everybody." JC Penney is opening a new store in the Windsor Square shopping center on Oct. 5, the company said Tuesday. The store is 83,000 square feet, JC Penney said in a press release, and will feature a number of new design elements. There will be a 1,700 square foot Sephora makeup store inside the JC Penney, as well as a number of individual "shops" showcasing brands such as Levi's and Liz Claiborne. The new store will also have wider aisles to make shopping easier, and energy efficient LED lighting, JC Penney said. The shops concept is part of JC Penney's turnaround strategy, as the retailer "re-imagines the department store." In addition to its pricing changes (largely eliminating sales in favor of "everyday low pricing"), JC Penney also recently decided to offer kids free haircuts on Sundays to lure back customers. Hello readers. This is just a quick note to let everyone know that for the next week (and maybe a bit longer), I'll be working on covering the Democratic National Convention, specifically the protesters. "What's in Store" will return after that. 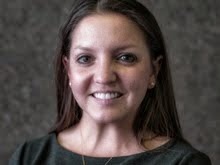 Please send any retail-related news tips to elyportillo@charlotteobserver.com. Thanks, and see you soon.